I don't remember learning to read. I also don't necessarily know how I read something. I just do. Now that I'm trying to teach Jude how to read, I am realizing just how hard it is to read! Add to the mix that Jude has Phonological (Articulation) and Phonemic awareness disorders (these mean he doesn't properly process sounds that he hears), and reading often seems an impossible task. We've tried several programs, and finally found one that suits him, but progress has been slow. It's also fairly dry work. "The perfect reading program" is an ongoing search. I'm not certain that Reading Kingdom is "perfect," but I think it's pretty close. The sun did not shine. It was too wet to play. So we sat in the house all that cold, cold wet day. In this text only 8 of 23 words (the bolded words) can be sounded out. The other 15 (or 65% of the total) cannot. In order to overcome the problems inherent in sounding out, phonics relies on children memorizing almost 600 rules, such as the "silent e" rule, the double vowel rule, the consonant combination rule and on and on. 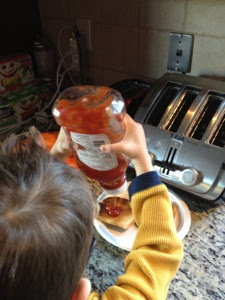 Remembering nearly 600 rules is impossible for a child - or even an adult for that matter. What's worse is that the rules themselves are riddled with exceptions. For better or worse, in English, irregularity is the rule. To put it simply, if phonics worked as advertised to teach a child to read it would be spelled "foniks". Whole language has had even poorer results. It provides very little structure for learning and as a result, children are overwhelmed with unfamiliar words and sentence structures - and reading failure often ensues. You know what? They have a very distinct point. Programs that ave very phonics based don't work for us - Jude can't hear the sounds properly. Whole word requires memorizing - sure, there are some "sight words" that make life easier (it makes more sense to just memorize some of the words on the Dolch word list than try to sound out "the" or "how" or even "Santa" than try to sound them out every time you come across them), but even I look at that list and am overwhelmed at the thought of trying to memorize all of them. Throw in that English is a language with its roots in every other language, and you're not really learning "English" rules but "rules from every other language around the world." Words commonly used by young students come from every language - pretzel is German, digital (camera) is from Latin (and the "a" there doesn't sound like "a is for apple"), the word candy is of Arabic descent, and the word ketchup (practically an entire food group in this house) is actually rooted in Chinese. I remember when I first learned to speak Spanish. While I sometimes struggled to understand the words (because I was used to thinking in another language), verbalizing what was on the page was simple - with the exception of three sounds (ll, ñ, rr) everything is "say what you see." English - not so much. Looking at learning to read from a teacher's perspective, I can see why he's feeling overwhelmed! Reading Kingdom uses both phonics and sight word concepts, but in a very unique way. 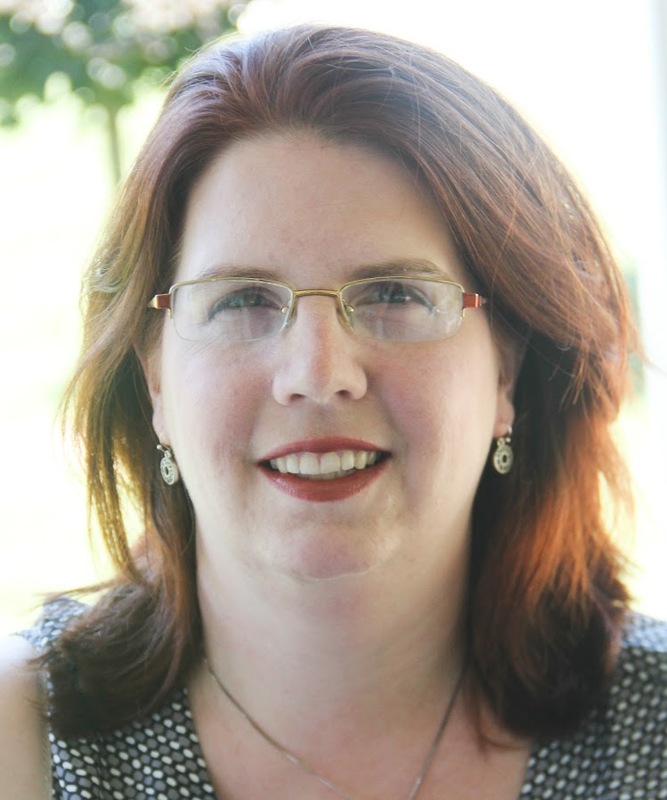 Dr. Marion Blank has created a program that incorporates tenets of both phonics and whole language programs, but goes beyond adding the "work behind the words." Literally before you start anything else, Reading Kingdom starts with letter recognition and sequencing. If you're reading in English, how do you read? Left to right, of course. But how do you know that? Did anybody ever say "start at the left, and work this way?" I don't remember ever learning "left to right." But yes, it is crucial for reading that you know "which way" the sounds and words are going. Here is an example of a sequencing exercise. 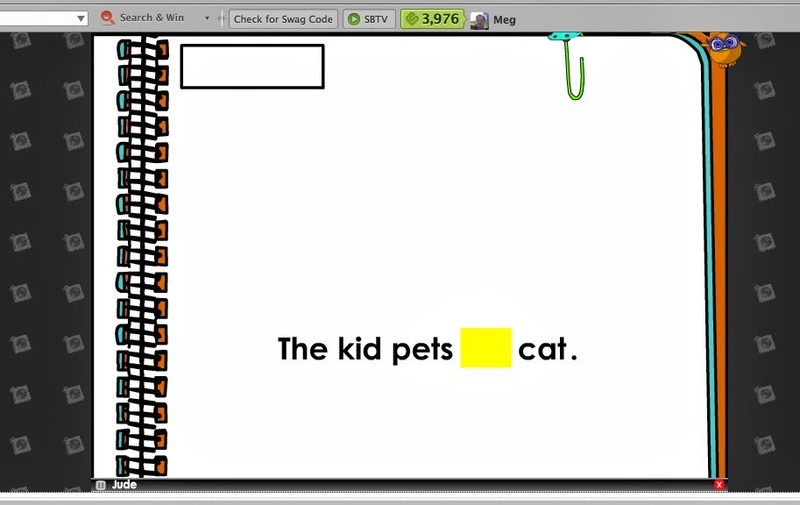 The student uses a mouse to click on the letters that make the word "dog." This one is fairly easy - just picking out the letters d, o, and g amongst the rest. 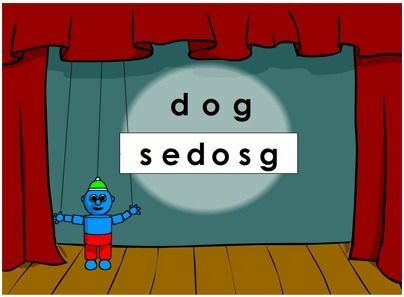 However, there are some exercises where the letters might be o, s, d, o, r, g. The student has to pick out "d-o-g", but can't just look at the screen and say "Oh, there's an 'o' there on the end." 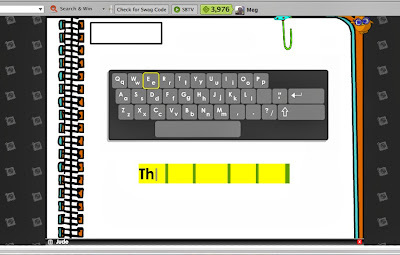 He has to click on the letter o that is after the d.
The student also learns the computer keyboard at the very beginning. 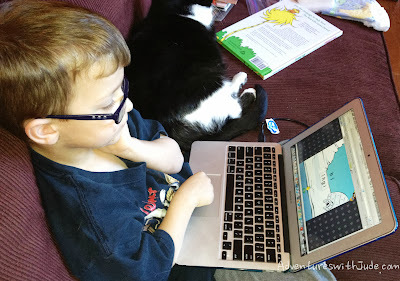 Now, Jude isn't typing, but he can find letters on the keyboard. He has an iPad and loves looking up videos. We will now either sound or spell out what he wants to see, and he hunt-and-peck types the letters. His keyboarding skills have gotten much better. 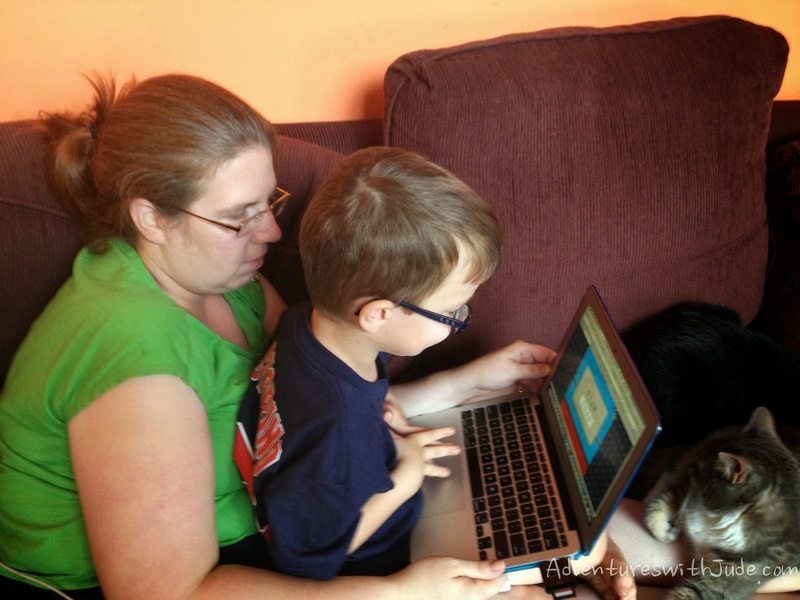 He also has learned that some keys are "sharing keys" - Reading Kingdom includes punctuation marks such as quotation marks, apostrophe, comma, period, and question mark - the "core punctuation" that you see most frequently. 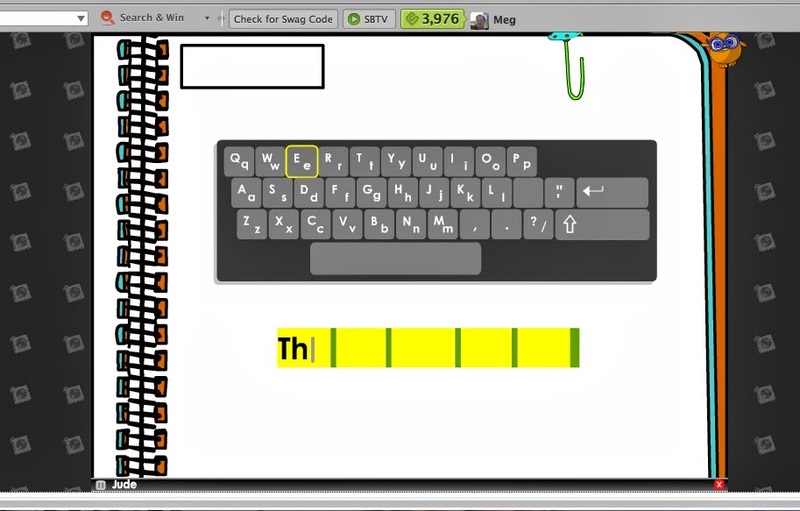 The green upright bars indicate "use the space bar." See how he's learning not just the words are important, but the space between the words too - so you know it's a new word coming. 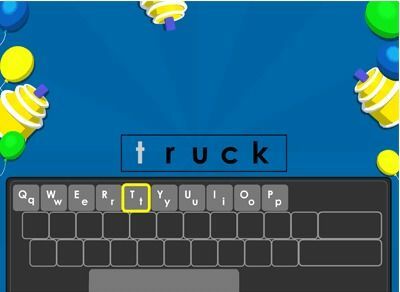 If the student doesn't know the next letter, or mistypes, the answer will appear on the screen (here, the letter E is highlighted) but it is up to the student to type/click on it. Even with the answer shown to him, he must return it to the program, reinforcing the concept. This is where the six-prong approach of Dr. Blank really shines. In this one sentence, Jude is working on sequencing, syntax, comprehension, spelling, listening, and typing. It's also a natural progression. The reward for "the pet" is a single dog. But then, you can see it segues into "The kids pet the cat," showing that the word "pet" has use as both an animal (a noun) and an action (a verb). 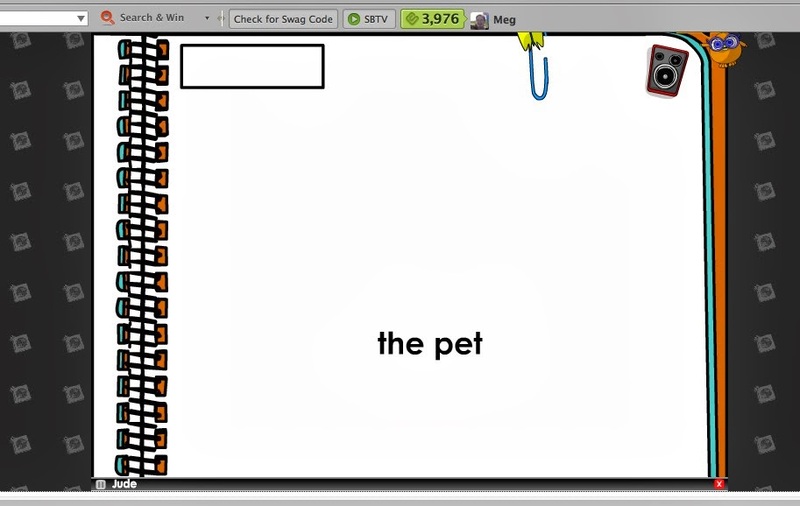 However, instead of saying "Here's the noun, 'pet,'" and "Here's the verb, 'pet,'" the program organically shows it in both settings. And this makes sense to me - at home, I wills say "Our pets are our cats," or "Pet Toby gently," and never really thought about saying "Pet can mean the animal, or when you rub his head." There are frequent rewards with this program. When you finish a task, there is a small "cheer" and a short animation. If you hit an incorrect key, the program will buzz with some sort of negative reinforcer (a buzz, an "uh-uh," etc.) and then the student can try again. At the end of each lesson, a "Passport" shows. Correct answers add points to your score. 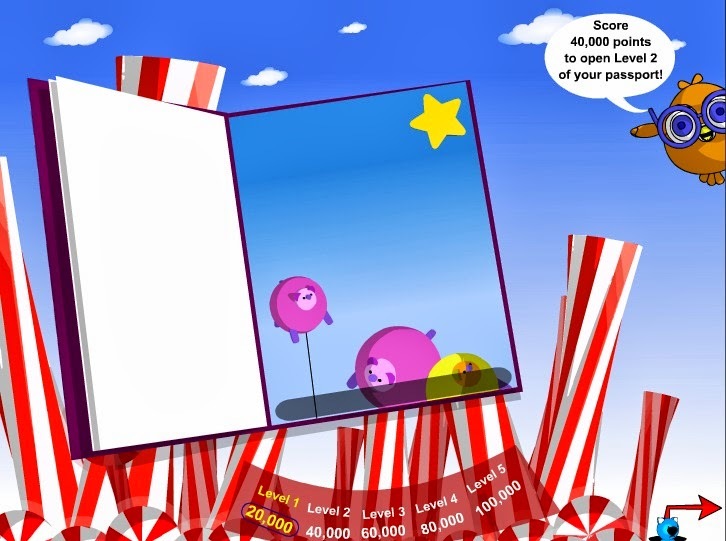 After a set number of points are earned, another Passport reward opens. This is one place where I don't like the program. At the start, Jude was doing two and three lessons a day (shocking!) because he knew that it only took two or three rounds to get a Passport reward. It took him two weeks to earn the one for the level that he's on, and I notice he's not as excited this time - because again, he's getting to the Passport and he isn't seeing any progress there. It appears that the rewards are based on reaching the end of a section, but I wish there was another reward at the halfway mark of the books to help keep interest. One thing Reading Kingdom stresses is that there should be minimal parental help. I agree that it is important that the student figure things out on his own. 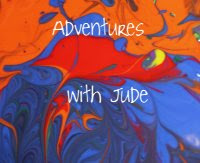 However, I found that I needed to sit with Jude and repeat things to him. If you have a student who is easily distracted, you may find that the lag time between tasks might be long enough that you have to remind him to stay focused. 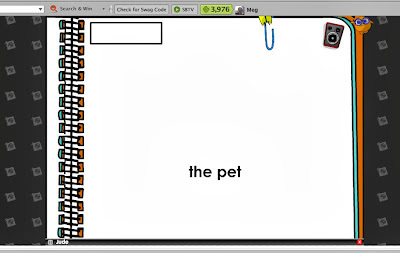 When there were auditory exercises - for example, the program says "Type 'pet,'" - I would have to repeat it to him, often stressing or elongating sounds. I wouldn't tell him which letter to touch, but sometimes he needed help figuring out that the word needed an "e" instead of an "i," or that there is a "t" at the end. He sometimes would fuss at the screen because he had typed what he had heard and was still getting "Type this word..." instructions. and there is a parents' section on the account where I can access details of his progress. Of course, no matter how well a program works, it is only useful to you if you can afford it. The company offers a free 30-day trial, and I would encourage a parent to use this time to discern if the program is suited to the child, before putting any money into it. There are two options for the paid program - either $19.99/mo (no minimum) or $199.99 for annual membership (giving you a 20% discount if you prepay for a year). Reading Kingdom also recognizes you may have more than one in-progress reader, so additional children can be added to your account for $9.99/$99.99 per student. While not a "cheap" program if you figure the total costs over time, I think it is a program that you get a true value with. You're not just getting a curriculum that goes from start to finish, but one that also adjusts to your student - skipping over things he has proven he knows, and slowing down/repeating things that he has struggled with. Here's something I LOVE about this company. They are absolutely committed to improving literacy. If this is a true hardship for you to pay, Reading Kingdom does offer scholarships where the program fee is waived. I don't know what information they use to determine eligibility, but I wouldn't let the cost stop me from at least trying the program. If you do the trial and find it's working for you, I would encourage you to apply for the scholarship program before saying "We can't afford this," and pass on it totally. For my in-a-school friends - this is a program that can work for you as well! It would make a great short at-home reinforcement program, since lessons are a dynamic 15-20 minutes and not a huge pile-on of extra work. For a classroom setting, with three or four computers (with headphones!) in your classroom, each student should be able to do the program three days per week. Reading Kingdom will give pricing upon request, but states they offer classrooms "significant discounts." 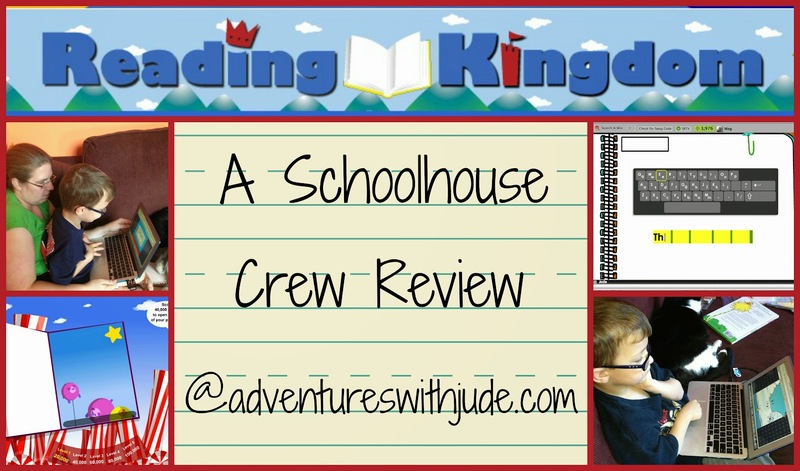 I'm not quite ready to give up on our other reading program, because it is teaching things like sound chaining and penmanship that Reading Kingdom is not. 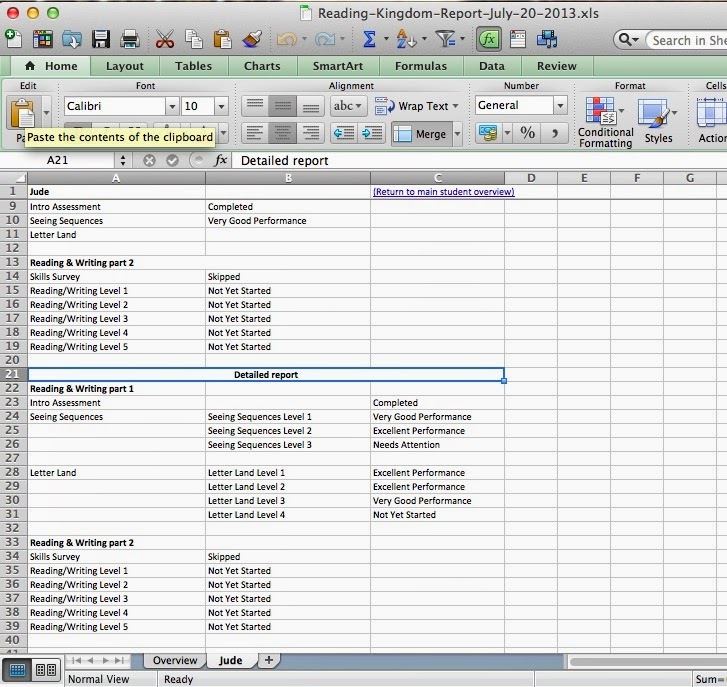 However, it is definitely a program we will continue using, because it approaches reading from a different angle. I'm also considering it for Damien for maybe after Christmas - once he's able to sit for a bit longer. I really liked it for my struggling new reader. Click on the banner below to see what families with students at other levels thought.